BMW X5 – Better than the Land Rovers? 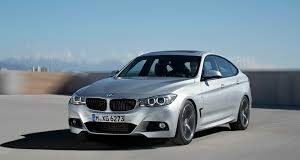 BMW launches the 5 Series in India at ₹49.9 lakh. The new series is available in both diesel and petrol variants. BMW Group India had announced a strong growth in 2016 after facing decline from two years, the company stated 8% growth until May. BMW X5, the crown jewel of the X -series is what got the engineers in Mercedes and Audi laughing and made them say "Let's have a day off". Choice of the PM Narendra Modi, The BMW 7 series gets a new look. And the Germans have finally decided to put an M badge on the car.